Realty Income, The Monthly Dividend Company®, is an S&P 500 company dedicated to providing shareholders with dependable monthly income. The company is structured as a REIT, and its monthly dividends are supported by the cash flow from over 5,700 real estate properties owned under long-term lease agreements with regional and national commercial tenants. 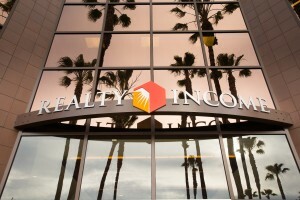 To date, the company has paid 585 consecutive common stock monthly dividends throughout its 50-year operating history and increased the dividend 101 times since Realty Income's public listing in 1994 (NYSE: O).